In this video, I do a little whiteboard session explaining the 4 things needed to build a good sales funnel with Clickfunnels. "Hey, guys. 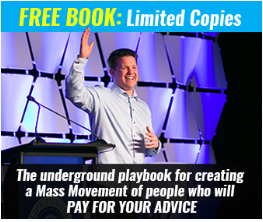 Josh Rhodes here, Groovy Marketing and one of the top ClickFunnels affiliate resellers. I'm here today to talk about four things that cost sales funnels to work or maybe are standing in the way of your sales funnel from working the way you want it to. Obviously, when we have a sales funnel, we're trying to create revenue and we're trying to grow a business, whether it's online or offline. Quite often, if you're listening to this video right now, you're probably trying to grow an online [00:00:30] business. Now, the number one thing that we've got to keep in mind is that all sales funnels are not created equal. There are different results and different subjective outcomes, depending on what industry you're in, what your average product value is. All that comes into play, but on a very broad basic level, I'm here to tell you that there are four things. [00:01:00] I hear a lot of new ClickFunnels customers come in and ask me these questions. I wanted to make sure that I covered them in this video. If you like this video, please subscribe and give me a thumbs up, and then also comment below. If you have ClickFunnels questions or just sales funnels questions, I want to be able to answer those for your and help you get unstuck. That's the purpose of this video. Make sure you subscribe and look at the comments and please do offer a comment below. I've got my dry erase [00:01:30] markers here, and I just want to go down our list real quick and tell you what those four things are that create a successful sales funnel, okay? Number one and this may sound basic, but a lot of people miss the entire target here. Number one is we've got to have a bleeding neck pain that is a customer problem that they can't solve themselves. Sometimes, that is as [00:02:00] easy as giving them the confidence to do what they need to get done. That's basically, especially if you're selling an information product or a coaching product, many times, your customer just needs more confidence or a different mindset or a perspective change. Knowing what their pain is, maybe they need more leads. Maybe they can't stand the way their dog behaves [00:02:30] in public. Maybe they are trying to figure out how to pay for college. Whatever that thing is that's in the back of their brain that they just would do anything if someone could come along and make it go away, that pain is what your sales funnel has to concentrate on. Number two, obviously, is you need a solution. You need a product that actually answers that pain, addresses that pain. [00:03:00] If you have dabbled in copywriting at all, there's a copywriting framework called AIDA, A-I-D-A, attention, interest, desire, action. Attention, interest, desire, action and that's like what you're doing through this sales funnel that I'm about to walk your through. You've got to get their attention. Well, you do that by saying, "Hey, I know what your pain is." You have to agitate that [00:03:30] pain a little bit. Then, you have to get their interest, right, with your words, with your actual copy. Then, you've got to call them to action with your solution. They've got to engage in your solution. They've got to buy product so that you can help them, right? That's how meritocracy works. That's how the marketplace works. Moving on. Number three is you've got to have skill. You got to have a skill to animate this thing. You've [00:04:00] got to bring some talent to the table. You may be thinking, "Well, Josh, I'm not that talented." Well, that's okay. Your iPhone 7 or iPhone 6 or whatever iPhone, the original iPhone needed an upgrade. You do, too. If you're at a certain place and you're making a certain amount of money or you've got a certain amount of sales or a certain amount of success, it's absolutely equal with the amount of skill, talent [00:04:30] and upgrade that you've introduced to yourself. In the lack of better words, I'm telling you to develop yourself, to add more capabilities to your quiver, okay? The way you do that is to get coaching, usually. If you want to go to the next level, you got to get coaching at the next level. That might be you buying a 99-dollar course. It might be you joining a 25,000-dollar mastermind. I don't know. I'm just telling you if you're out of place and you just feel stuck, usually it's because you've hit your personal capacity. A sales [00:05:00] funnel is only going to be as good as you are to some extent. You've got to get to a place where a skill might be Facebook advertising. A skill might be using ClickFunnels efficiently. A skill might be understanding Google AdWords. A skill might be e-mail marketing. A skill might be building relationships wit fantastic JV partners. A skill might be launching a podcast and getting followers. Those things usually have to do with traffic, [00:05:30] the top of your funnel and getting people's attention, getting people attracted to your ecosystem. That's why skill is important. Lastly is technology. Technology is just a part of the equation, whether we like it or not. If you're one of those people who sit around going, "Man, I'm just not a techy. I'm not tech-savvy." Well, you're going to find yourself in the back parking lot of life if you don't pick it up [00:06:00] a little bit. That's where you've got to upgrade your skills and open your mind and understand that the world is a world of technology. We're in the information age, and so you're going to have to learn how to use tools. That might actually be slash tools, honestly, because the skill, sometimes is aggregating and pulling all of those skills together to create a sales funnel. [00:06:30] If you haven't heard a proper description of a sales funnel before, I'll give it to you. Basically, I build all of my sales funnels in ClickFunnels. They host my opt-in pages, squeeze pages, landing pages, sales pages, order forms, payment processor, e-mail marketing. I use the ClickFunnel's Etison Suite. If you're watching this and you're not a ClickFunnels user, please use my affiliate link below or in or around this video somewhere. I offer sweet bonuses [00:07:00] if you start a 14-day trial using my link. You get a ton of bonuses that you don't get anywhere else, especially if you just sign up at clickfunnels.com. It's boring and vanilla. You still get all of the stuff that ClickFunnels would have given you, but I give you tons of sales funnel bonus training that I reserve only for my Groovy Marketing affiliates. I use ClickFunnels to build everything. Like I said earlier, you have to attract [00:07:30] traffic, okay? You got to get eyeballs that matter into your funnel. Then, they're going to opt in or read. Now, you're attracting traffic to maybe an opt-in page or you're converting leads or you're getting people to read your blog post. Now, if you don't have a blog, I'm not saying you have to have a blog to just make a ton of money, but I'll say this. [00:08:00] The most passive income that I enjoy in any of my businesses is from a blog. Take it for what it's worth. The big thing is, to give you a specific example, a ton of people have success sending Facebook ad traffic to a blog and then retargeting the people who visit that blog and hitting them with an opt-in campaign there. This is what I call top of funnel activity. [00:08:30] Basically, everything up here is what we call top of funnel. The top of funnel is where you stir up the attention. There is where you get things moving. Then, once they opt in, you obviously have to get them to opt in. Name, e-mail address, phone number sometimes. You move them to the middle of the funnel. In the middle of the funnel, [00:09:00] we're indoctrinating. We are building trust, building authority. Quite often, this is e-mail marketing, e-mail autoresponder. You might be doing messenger bots. If you haven't picked up on Facebook messenger bots yet, unbelievable experiment that I'm doing right now, but also it's taken the marketplace by storm. It's coming. It's huge. Then also [00:09:30] sometimes, it's phone sales and webinars, all right? Then, once you have trust and authority built, you're moving them into customerhood which is the bottom of your funnel. You've got to get them to buy your introductory offer and then your main core offer. The first dollar is the hardest dollar to get. The second dollar is the easiest dollar to get. Now, how do you do that? Well, along the way, if you've [00:10:00] noticed, I've got this red bracket here. It encapsulates all these stuff. This might be a webinar funnel that you built. This might include a sales page or both of these would and order forms. You got to be like, "Okay. Well, where am I housing all these stuff?" That's why I use ClickFunnels because ClickFunnels is just the software, the technology, the tool. I mean there's an entire [00:10:30] industry being built around this single tool now where people are just getting certified and becoming funnel experts and coaches and architects. Gosh. I have a business where people pay 3 to $5,000 just for me to build them sales funnels for them. I don't take a lot of those clients because that's not my main thing, but I am passionate about sales funnels. I want to be helpful. One of the bonuses if you sign up for ClickFunnels using [00:11:00] my affiliate link is that I offer unlimited e-mail coaching and access. If you have a question, you can ask me. You can send it to me at any time, but if you're building an online business, if you already have one, make sure you audit yourself. You have the pain dialed in correctly. Sometimes, this is the hardest part to find, but once you do enough testing and sales and marketing, eventually, you'll dial that in. Solution, make sure you have a product that matches the pain. [00:11:30] Skill, upgrade yourself. Find a medium that you can dominate. Don't try to dabble in 16 different ones. Dominate in one. I have one business where I spend over $50,000 a month in Facebook ads, and I have four or five extra returns on it every month. Yes, technology and tools. Make sure you're using technology that doesn't hamstring you, that doesn't cut you off at your knees [00:12:00] and you're always having to go to tech support. That's just not what you need. You need something that's fast, quick and easy to assemble. That's why I use ClickFunnels. Webinar funnels, high-ticket sales funnels, opt-in funnels, landing pages, you name it. Order forms, eCommerce, you can do it all with ClickFunnels. I hope this video was helpful. Like I said, comment below. Subscribe, like, give me a thumbs up and hope this was helpful. Check out my blog, groovymarketing.biz for more helpful sales funnel and ClickFunnels tips. [00:12:30] I'll see you soon. Thanks." 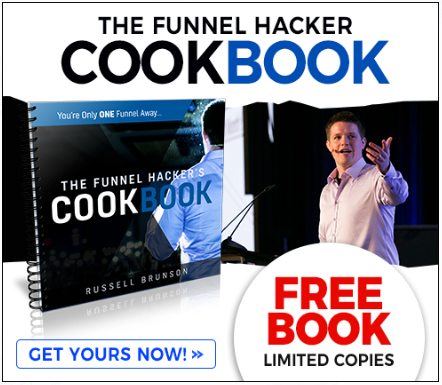 Now, with the click of a button and some drag and drop skills you can light up the internet with your webinar, product launch or email list building funnel fast thanks to Russel Brunson and the Click Funnels team. There's really no reason not to try a FREE trial of Clickfunnels. You've got nothing to lose. And with my bonus training, you could find yourself running a thriving business. Sign up for your free trial today at my link(http://bit.ly/2rekjQc) then drop me an email asking me for the bonuses at josh at GROOVY marketing DOT biz. Click on these and import them directly into your account...and save HOURS of work. You can still get a free trial of ClickFunnels here if you need to http://bit.ly/2iaSGQv. If you are looking to build an email list, welcome to the club. It's still the #1 way to convert sales. It's super important for you to offer the right lead magnet. It's also important for you to have a high converting landing page. SHORT - Quickly consumed, not hard to mentally digest. GOAL ORIENTED - Make sure it's a tool that provides a result that most likely fits into their goals. EASY - The lesson or application should be simple for them to execute in a short period of time. So, you can see, PDF's can be great formats for these kind of lead magnets. As long as you use the SAGE format above, you'll be set. I hope you enjoyed this short review of a great PDF Checklist funnel. At no extra charge to you, I receive an affiliate commission when you use my link (http://bit.ly/2p11Ank) to start your Clickfunnels account. You can still get a free trial of ClickFunnels here if you need to http://bit.ly/2hRlHmz. Full review of Clickfunnels: http://www.groovymarketing.biz/blog/clickfunnelspricingreview.